dtv - Deutscher Taschenbuch Verlag, 2010. 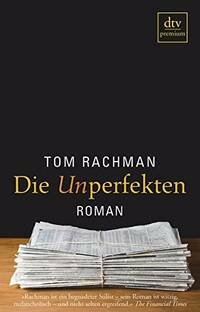 Großpaperback, 394 Seiten, guter Zustand. Deutscher Taschenbuch Verlag. Perfect Paperback. GOOD. Spine creases, wear to binding and pages from reading. May contain limited notes, underlining or highlighting that does affect the text. Possible ex library copy, thatâll have the markings and stickers associated from the library. Accessories such as CD, codes, toys, may not be included.